← Do this with your spinach, and love it. 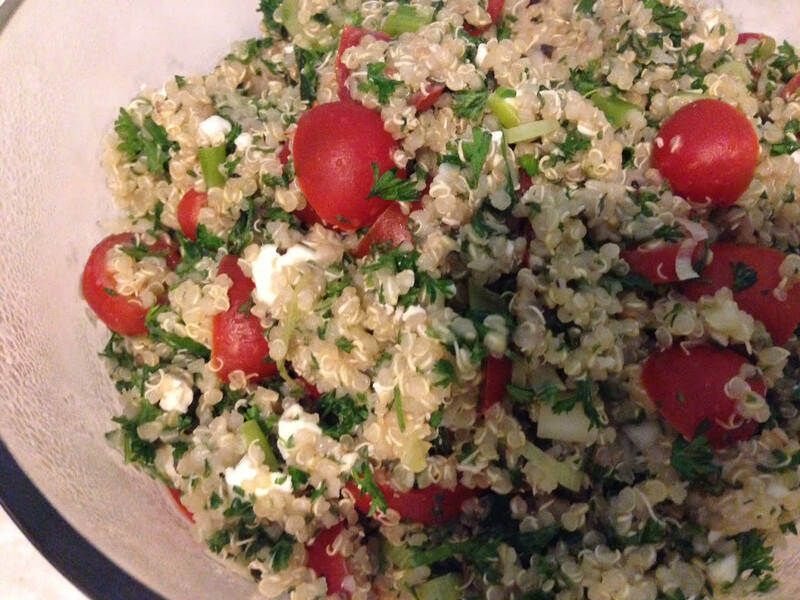 Why bother with tabbouleh? 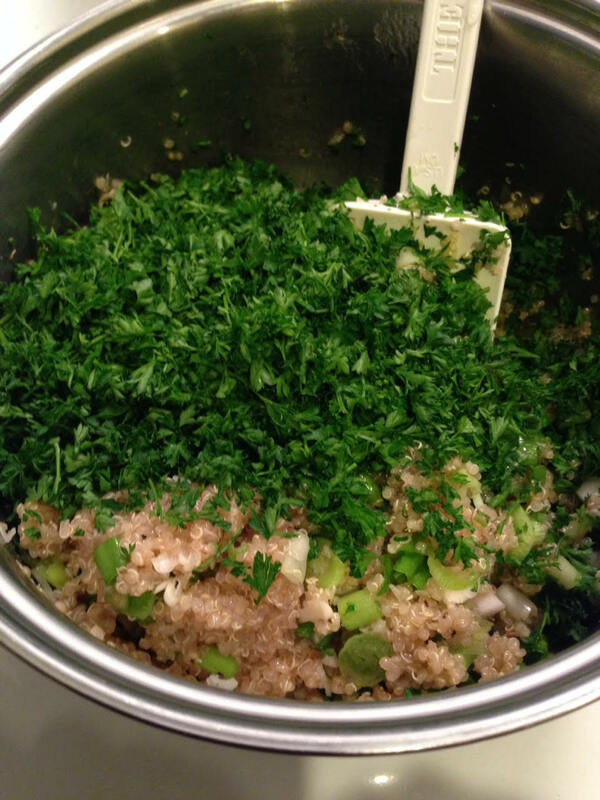 There’s plenty of ways to mix grains, herbs, veggies, etc. without needing a translator. Here’s why. It’s good. It’s really good. It’s easily made gluten-free. It’s a great way to use up all that parsley you have leftover from the bunch you bought at the store but only needed a teaspoon. I had the mint growing in my front yard. The tomatoes were getting wrinkled and begging to be eaten before becoming “sun-dried”. I always have olive oil, garlic, salt, and I happened to have a fresh lemon and scallions that also needed to be eaten before “turning”. The only purchases I made for this were quinoa and feta. The feta is optional. I really like feta so for me it’s not optional. I didn’t have any cucumbers on hand and I chose not to buy one. Okay, I admit it. I forgot to buy one. That’s the beauty of recipes like this. You can skip an ingredient and it’s not ruined, just different. 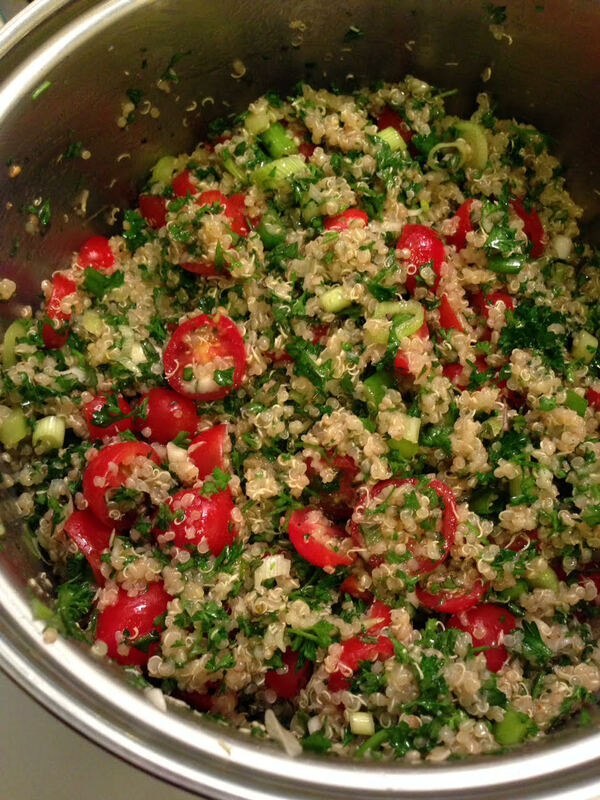 Instead of following the instructions for the bulgar, I made a batch of quinoa (1 cup quinoa cooking in 2 cups water). 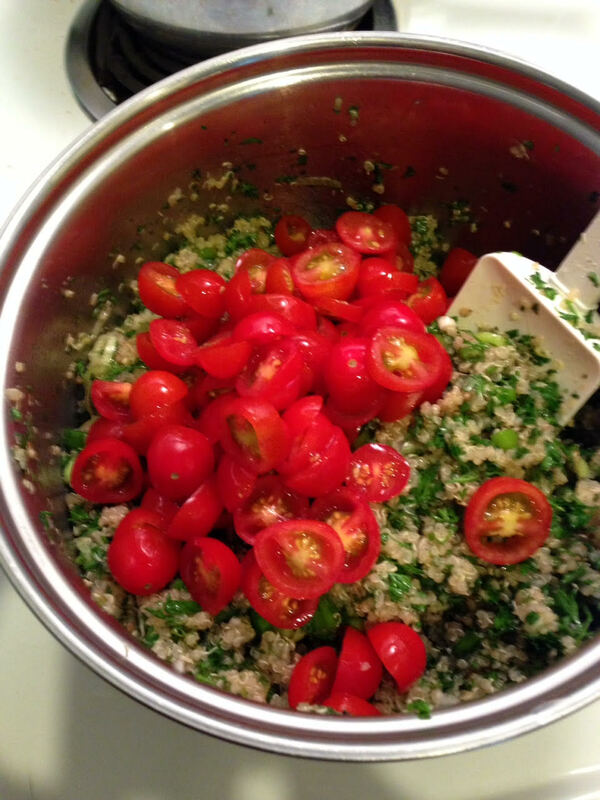 AFTER the quinoa was cooked, I added the lemon juice, olive oil and salt; and let it sit like the recipe says. If you don’t have a whole hour to let it sit, that’s fine because the quinoa is already cooked. You can let it sit for 10 minutes, or longer if you have the time. One of the reasons to do this is to let it cool before adding the herbs. That way the herbs don’t wilt. It’s not that kind of salad. 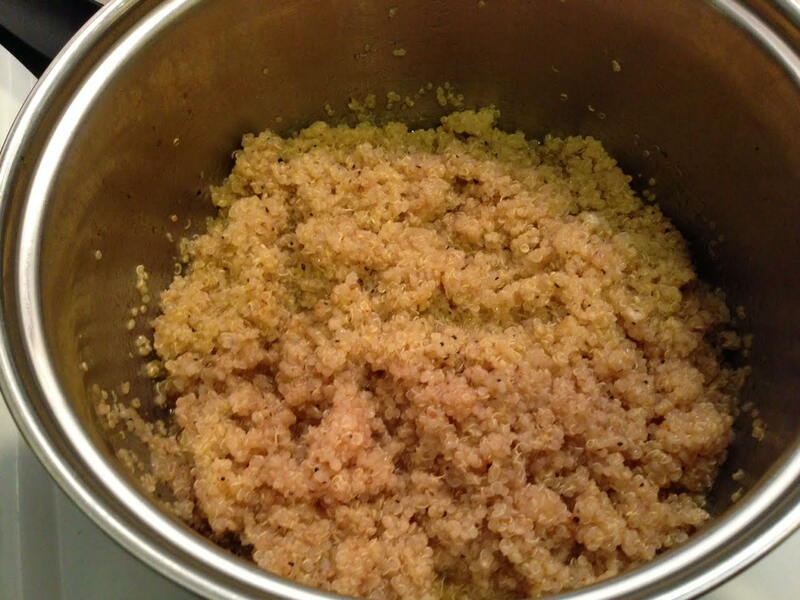 Cooked (rehydrated) quinoa after mixing in the olive oil, lemon juice and salt. 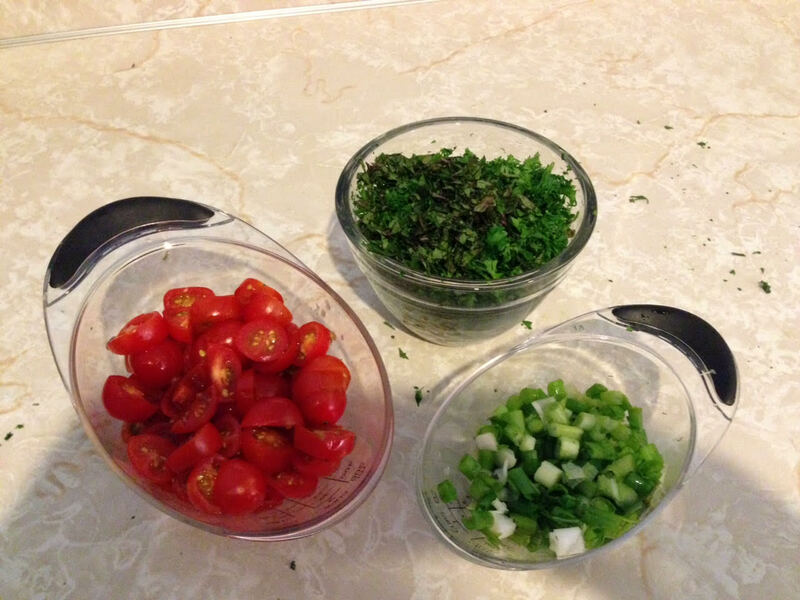 Veggies and herbs ready for action. 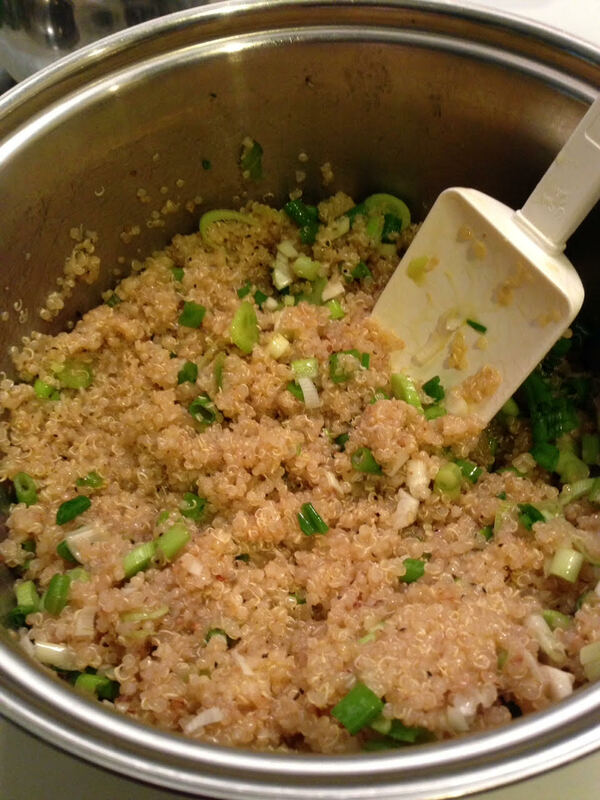 Stirring in scallions after quinoa cools. Tomatoes are joining the party. The vibrant colors of this dish are what drew me to it in the first place. The way this recipe uses simple, fresh ingredients keeps me coming back. Health Foodie. Beauty Seeker. Christ Follower. 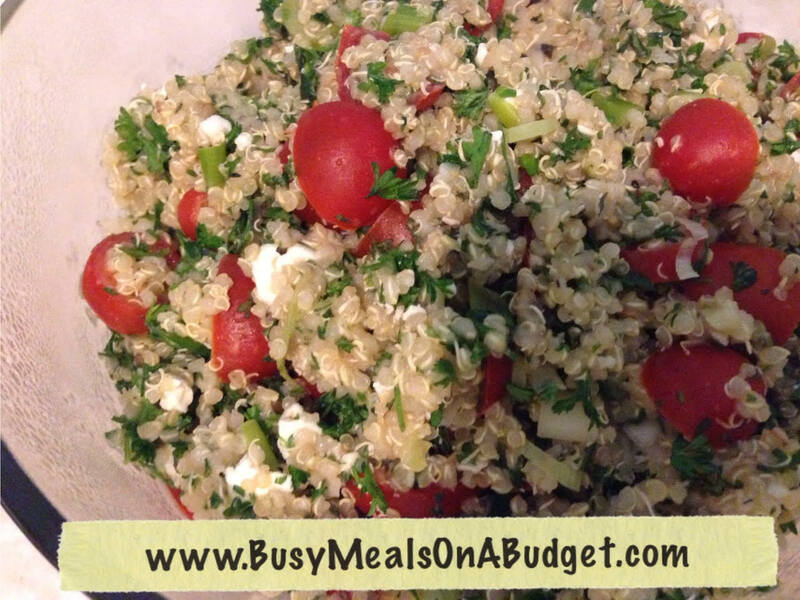 This entry was posted in Food, Fun, Healthy, Homemade, Ingredients, Salad, Veggies, Whole food and tagged brunch, dinner, feta, garden, gluten-free, herb, herbs, lemon juice, lunch, mint, olive oil, parsley, protein, quinoa, salad, simple, tabbouleh, tomatoes, whole food. Bookmark the permalink. Can I make it like Ina?